Several of my photos have been featured on-line by National Geographic and Smithsonian Magazines and have been published in print and on-line for other national publications such as Outdoor Photographer, Shutterbug and Popular Photography. 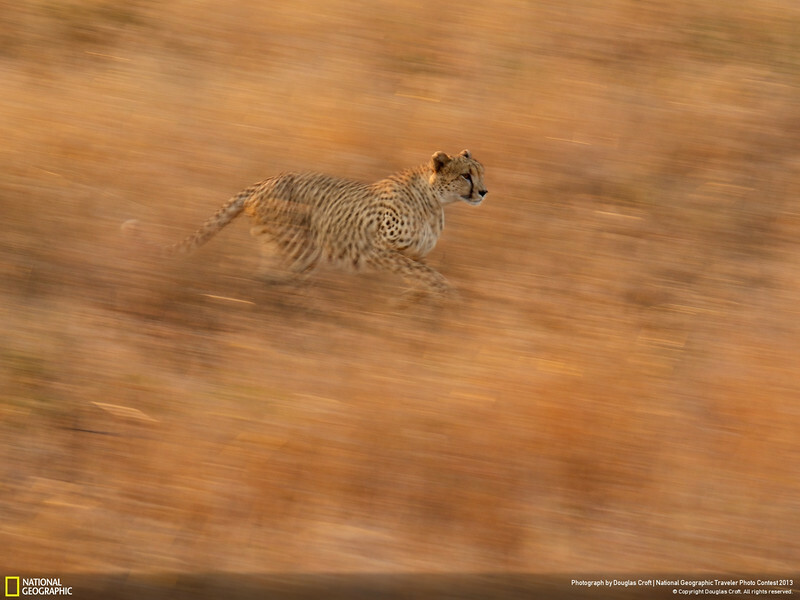 This photo of a running cheetah was an Editor's Pick in the National Geographic Traveler Photo Contest 2013. It was Smithsonian Magazine's Photo of the Day (7/12/13). Wildlife photography icon, Tom Mangelsen, called this photo "Perfect" in a portfolio critique. It was chosen for National Geographic Your Shot assignment "Embrace the Untamed" story. It was published in the July 2015 issue of Shutterbug Magazine in their "Picture This" feature. This photo was chosen as the Wildlife Winner of Outdoor Photographer Magazine's Outdoor Photography Month Photo Contest. It was published in their October 2016 issue. Winner of the 2017 NANPA Nature Photography Day Photo Contest and a Top 100 in their Annual Showcase Contest. One of 20 Finalists in the Africa’s Photographer of the Year contest. Winner of The Natural Photographer's "Showcasing Shutter Speed" Challenge.